Your car, truck, van, or SUV is made up of innumerable parts working together in complex unison. In order for these components to move without friction, dissipate heat, and drive away impurities, you need to have them inspected and changed regularly. In this section we’ll explain the importance of your engine oil, transmission fluid, coolant, a/c refrigerant fluids, and when it is advisable to have them flushed out and changed. Having fresh fluids is key a part of preventative auto maintenance. To schedule your vehicle for repairs at our service centre in the Greater Toronto Area, fill out our fast service appointment form online. When it comes to changing your oil, conventional car wisdom still rings true; it’s one of the best ways to maintain the health of your vehicle. Clean engine oil prevents wear on vital internal components. We recommend changing your oil approximately every 6,000 km. When in doubt, refer to your owner’s manual. When you come in for an oil change at 401 Dixie Kia, we give you the option of putting conventional mineral oil or synthetic oil in your car. 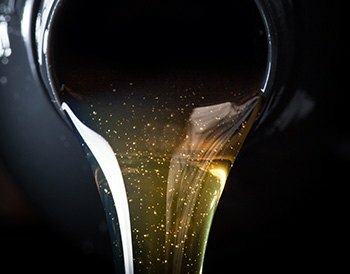 While regular oil is most popular and less expensive, synthetic oil has been chemically refined to optimize its molecular makeup for greater flow and lifespan. Like engine oil, transmission fluid ensures that the fast-moving, hot powertrain parts work smoothly and without the obstruction of sludge build-up and impurities. Although it’s always best to refer to your owner’s manual, a good guideline for transmission fluid replacement is every 50,000 km. One of the top causes of vehicle breakdown is coolant system neglect leading to overheating and premature failure of engine components. Fresh coolant prevents damaging heat transfers and stops your car’s engine from freezing in sub-zero conditions and boiling over in hot or high-stress environments. Unfortunately, there isn’t any hard and fast rule for getting a radiator flush and refilling with fresh coolant. It’s entirely dependant on your car’s age, condition, and your driving habits. When in doubt, refer to your owner’s manual or book an inspection at our dealership to find out the state of your coolant system. Your air conditioning system helps you stay comfortable in the summer and clears up humidity so that your windows don’t fog up on muggy days. If you start to notice that your air conditioning isn’t blowing as cold or as strongly, it could be restricted by dirt, corrosion, or simply being low on refrigerant. The problem could also be linked to a faulty thermostat. Don’t worry! We’ll get down to the issue at our certified repair shop.